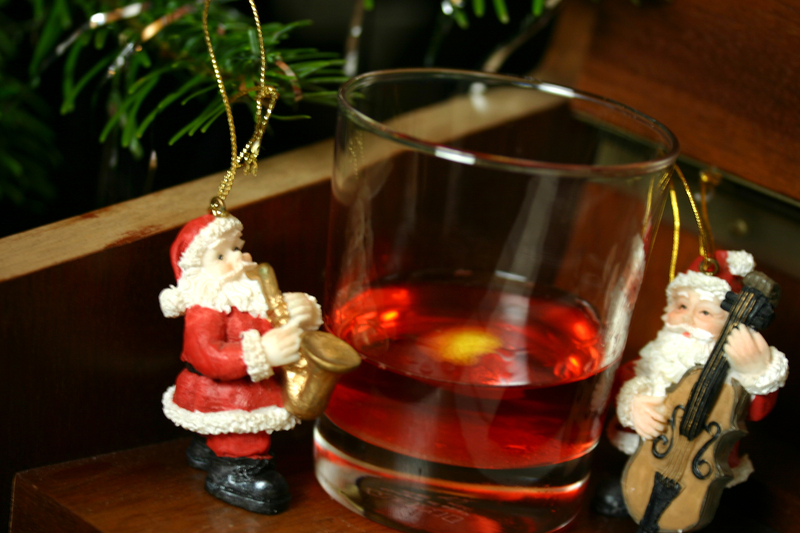 I’ve enjoyed listening to my Christmas in New Orleans CD throughout the holidays, which is enough of a reason to make the sazerac my tenth cocktail of Christmas. The ones we make aren’t as authentic as you’d be served in the Big Easy – we coated the glasses with Pernod instead of absinthe and use Canadian rye whisky, although I have recently got my hands on some Peychauds bitters. Pour a small amount of Pernod into an old fashioned glass and swirl around to coat the glass. Discard the excess. Place a brown sugar cube in the bottom of the glass, sprinkle with the bitters and muddle. Pour the rye into a cocktail shaker filled with ice, shake until chilled, then pour only the rye into the glass.